Sofology, the furniture retailer with stores across the country, has instructed CAPA to undertake full property audits across 47 of its locations. Founded in the north west of England in 1974, Sofology now has more than 1,000 staff across its stores, where sofas ranging from mid-price up to luxury items are sold in professionally-designed room sets. Renowned as an early adopter of new technology, Sofology is also known for deploying a non commission-based structure for sales staff, who are rewarded on customer service. The move has been a significant driver of its recent rise in turnover. The business has now instructed CAPA to conduct full property audits nationwide across the 47 outlets – a major undertaking for its audit team. The instruction will involve CAPA carrying out a forensic analysis of all property outgoings across every location. The team will inspect data on invoices paid out at each site, as well as costs related to rates and service charges. Auditors will use bespoke software to uncover multiple elements such as errors or anomalies in utility bills, rates and all other property related costs. 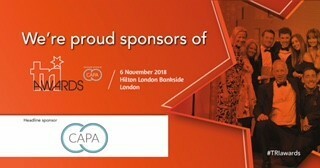 Any ‘overspend’ discovered will then be recovered by CAPA for Sofology.